Class this week was kicked off with Shannon Siders, Student Success Coordinator for Code Louisville, presenting information about networking and about the Code Louisville networking requirements and opportunities. She did a great job and presented data showing that most jobs found by Code Louisville graduates are due to networking. No, not some artificial speed networking program, but by getting to know area developers, often at meetups and other local area events, and letting them get to know you. Our mentor, Mitchell Starkey, led class this week and went over HTML and CSS coding specifics on the class project. There are people at all different levels in the class. I’m sure some were bored and others were completely overwhelmed. Many are still struggling with their text editor. I’m not struggling with it, but I am certainly still learning it. If you are planning to take Code Louisville in the future, I would suggest downloading Atom or Sublime Text and getting familiar and comfortable with it before class begins. It will be easier to concentrate on learning the new material if you are not preoccupied with how to use the tools. I attended Work at Warp Zone Wednesday again this week. One of the developers I met there this week was Eric Lathrop, one of the co-founders of Warp Zone. 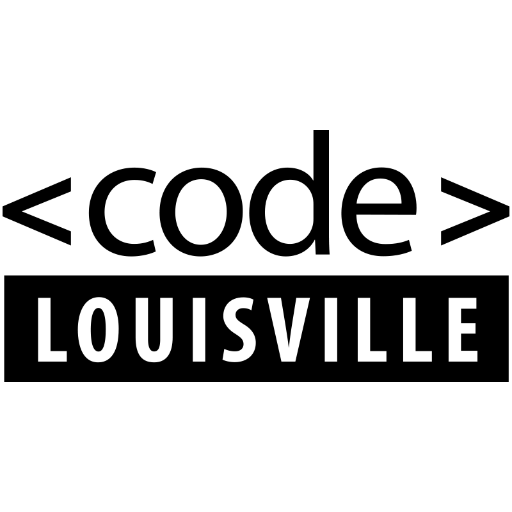 Eric also created Louisville.io, a consolidated directory and calendar of technology user groups and meetups in Louisville, Kentucky. I worked on Treehouse course work for a couple of hours, and we grabbed some dinner at BBC (I recommend the salmon tacos!) along with two other developers that were working at Warp Zone. On Wednesday, I also attended the Louisville .Net Meetup for the presentation, “New Year, New You.” There were a number of great speakers. They did video record the presentations, so it should be available online soon. Check the event page for possible updates or links. It has been a busy week. The pace is picking up. I’ve also started thinking about what I want to do for my personal project. A portfolio site seems to be a popular choice for many student front end web developers. I’m still enjoying the course work and looking forward to each week! I’m also job hunting to find my first job in the IT industry. It’s a little daunting making a career change, but I’m enjoying the material and the people in the IT world so much that I’m convinced I am on the right path!